Nothing could be more radical than a breakup. But nothing is more lasting than those invisible ties, the laces that bind peo- ple one to another. An intense, truthful novel about the way we spend our lives breaking vases and glueing together the shards, and the primordial and subterrane- an forces that hold together marriages, long after love has ended. 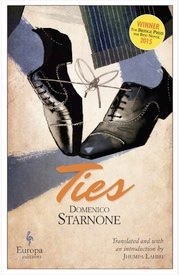 Starnone gives us a moving, powerful story, the novel of an escape, a return, of all the failures that have ever been. Reminding us with every page that the time of reckonings is a useless time, absolute, ridiculous, and heartbreaking.